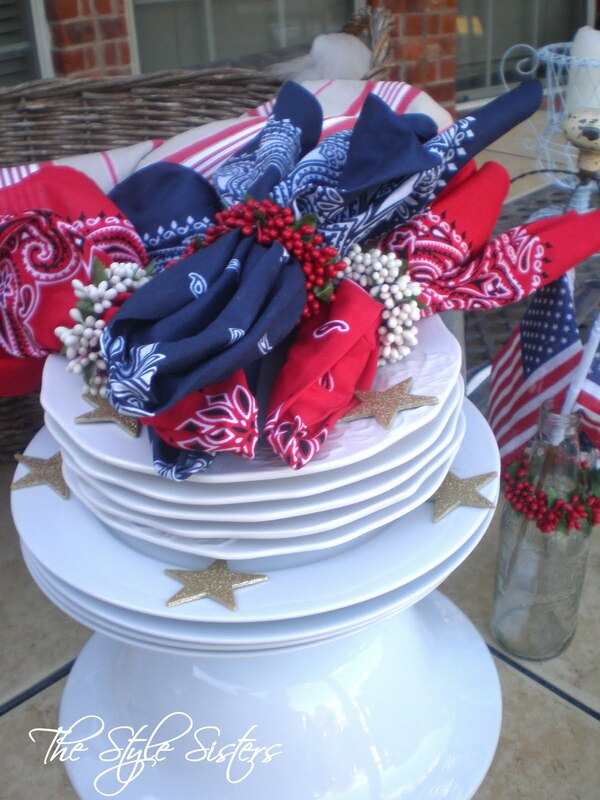 I happened to come across this site with some cute ideas for the 4th of July. Some of the items that are shown are sold at Style Sisters. 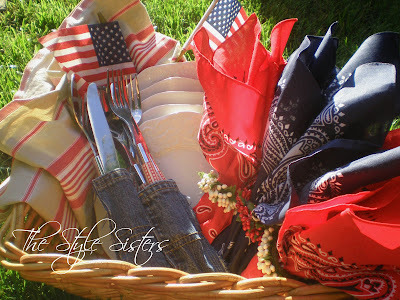 Here are a couple of other great table settings from some great ladies! 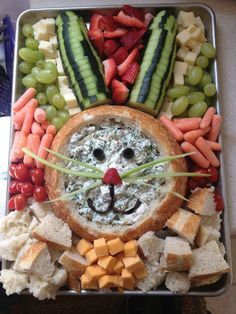 This is a great way to bring the inside out from P is for Party. 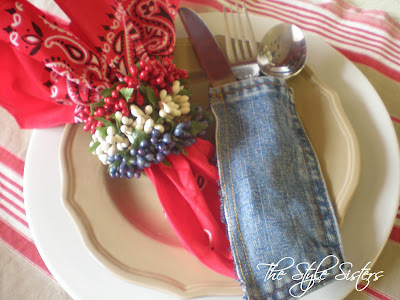 This tablescape was made without buying a thing from Simply Creative Insanity. 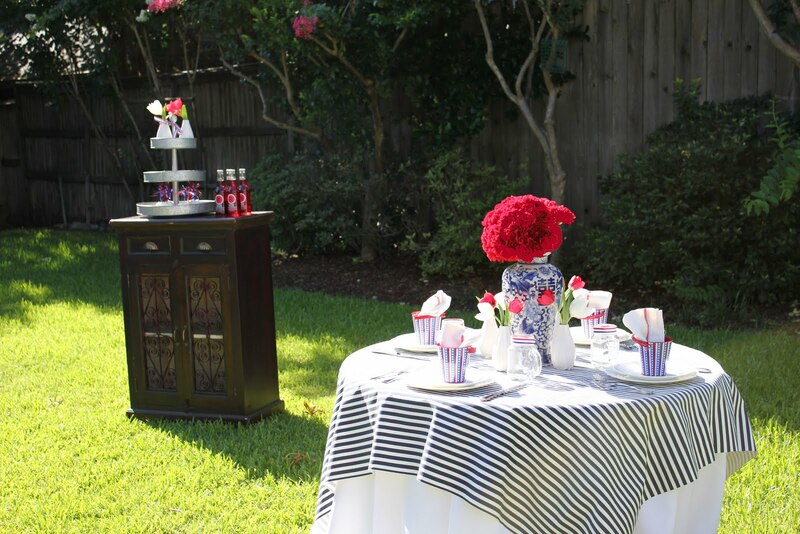 Here is a great and very cost efficient Ice Cream Buffet from Maddycakes Muse. 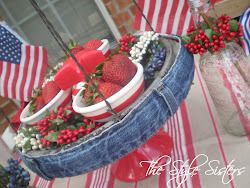 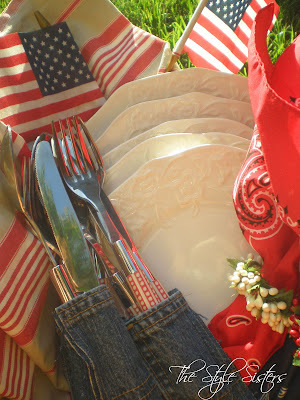 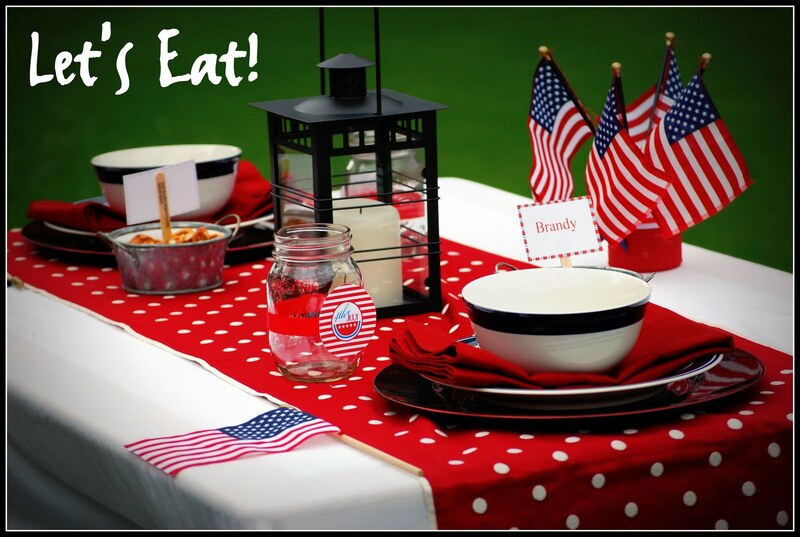 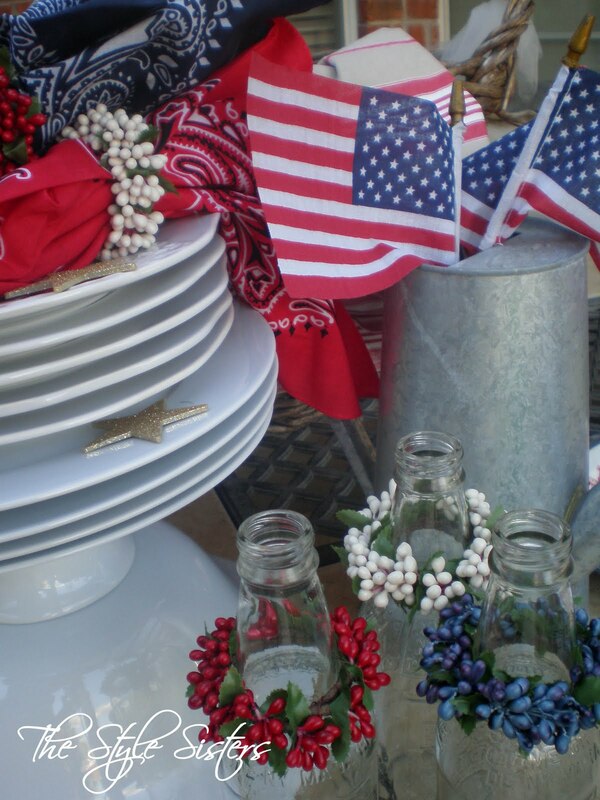 I am sure all of these tables will give you some great ideas to use to celebrate our country! 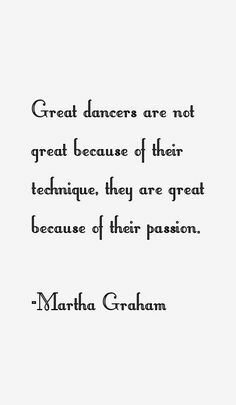 Thank you so much for including my table in your post!